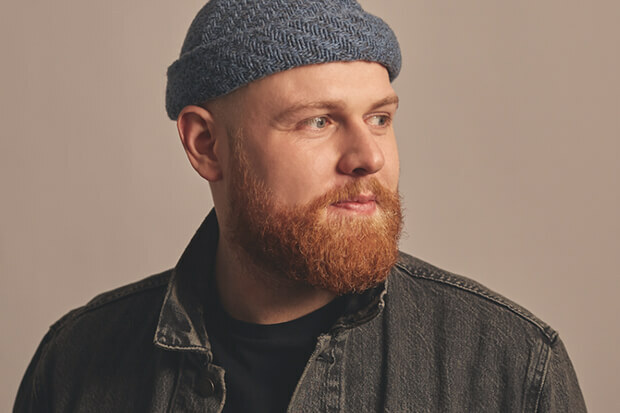 Tom Walker Celebrates His BRIT Award By Dropping "Not Giving In"
We speak to the breakout star about 'Leave A Light On' and his debut LP. Earlier this week, Tom Walker won the BRIT Award for British Breakthrough Act — an honor previously bestowed on Sam Smith, Ed Sheeran and Dua Lipa. It was well-deserved given the staggering worldwide success of “Leave A Light On” (390 million streams, number one in 20 countries) and the buzz around his debut LP, What A Time To Be Alive (due March 1). The 27-year-old now blesses New Music Friday with another song from the album and it’s typically great. “Not Giving In” is a rousing call for perseverance and self-love. “When you gave away the love he gave you, you don’t want a soul to save you,” Tom sings on the chorus over Mike Spencer’s crashing production. “I’ll never stop, I’m not givin’ in.” The striking bridge is a flat-out plea to keep going. “Don’t let them treat you like one of their slaves, promise you love just to steal it away,” he implores. “No, don’t take that plane, don’t fall for this game.” At this rate, What A Time To Be Alive is shaping up to be one of the year’s must-hear albums. Listen to “Not Giving In” below.